White Wolf : Yellow Hawk, Cheyenne Chief: Was ‘Hostiles’ Character Real? 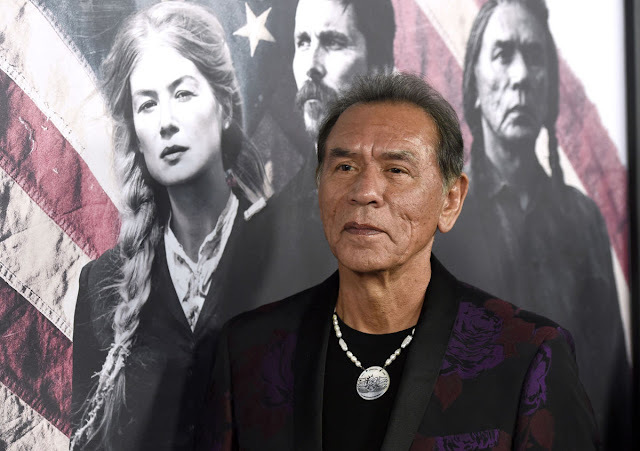 Played by the Cherokee actor Wes Studi, Yellow Hawk, family-focused and deeply spiritual, forges a slow bond of mutual respect with Bale’s character Joseph Blocker. Yellow Hawk helps Blocker perceive the humanity in his once mortal foe. It is undeniable, and, throughout the course of the movie, the men will fight alongside each other. It’s a moving portrayal by both men, and it has a lot of moviegoers wondering: Was Chief Yellow Hawk real? There was an Indian Chief named Yellow Hawk in real life, but he was a member of the Cheyenne River Sioux people, not the Northern Cheyenne of Montana, and he did not die in the mountains after a trip with a cavalry soldier. In other words, the Yellow Hawk in Hostiles is a fictionalized character. However, the story of the real Chief Yellow Hawk is a fascinating one. The Northern Cheyenne tribe, which is located in Montana – the state where the movie Yellow Hawk heads to be buried – is a different Indian nation. 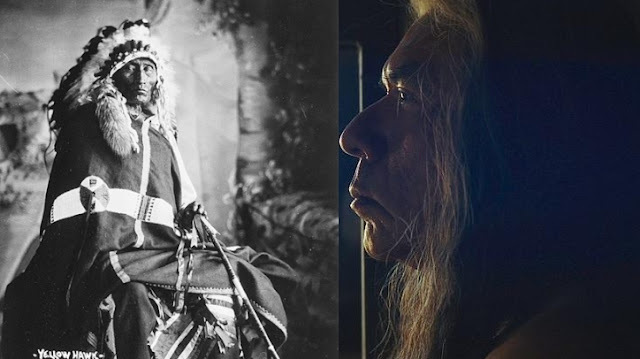 Here are some of the details that are known about the real Chief Yellow Hawk of the Cheyenne River Sioux: He visited Washington D.C. in 1867 (Hostiles the movie is set around 1892). His wife, Julia Deloria, has an interesting background. By some accounts, she was the daughter of a Frenchman and an Indian woman. By other accounts, she was “a white woman rescued as a baby from a destroyed village by the Yellow Hawk family and raised by them,” according to the site American-tribes.com. They had a son named Solomon Yellow Hawk. In the movie, the fictional Yellow Hawk has a son named Black Hawk, who is played by the actor Adam Beach. There was a real Chief Black Hawk, but he was a leader of the Sauk, Fox, Kickapoo and Ho-chunk people and fought in the Black Hawk War. Who were the most famous real chiefs of the Cheyenne tribe? They include Black Kettle, Dull Knife, Little Wolf, and Morning Star. But Yellow Hawk does not appear on such lists. There were Cheyenne chiefs named Yellow Horse, Yellow Hair, and Yellow Nose. One of the best known real Cheyenne Chiefs, Black Kettle, “was known as a peacemaker who accepted numerous treaties to protect his people. He survived the Sand Creek Massacre in 1864.” Dull Knife “reluctantly led his people into a war he suspected they could never win” after the massacre. Responses to "Yellow Hawk, Cheyenne Chief: Was ‘Hostiles’ Character Real?"